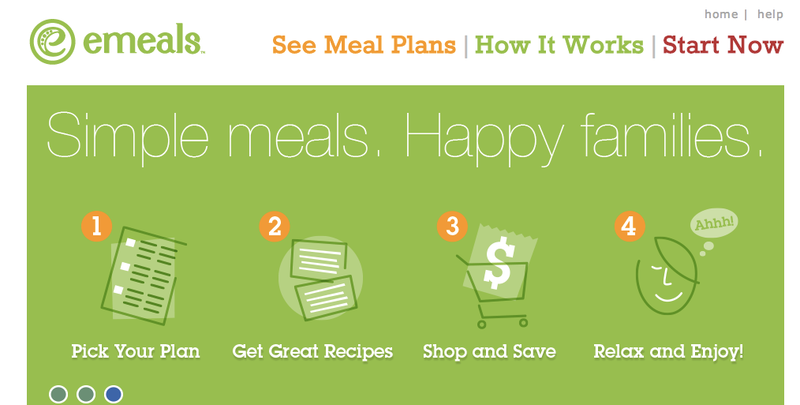 eMeals Makes Meal Planning & Grocery Shopping Easy! Lauren discovered a site, which has quick become one of my favorites, called eMeals. You select the type of meal plan that you want (i.e. clean eating, low fat, paleo, etc. ), you select your family size, and every week you can get a PDF which a grocery list and recipes for the week. Just recently they launched an iPhone app, that delivers the same weekly meal plan and interactive grocery list. This is all about $5/month. We’ve been using the site for about a year and a half now and absolutely love it. Around January 1, we switched to the paleo meal plan which we’ve particularly enjoyed and found to be good for us as we continue our journey towards more healthy diets. eMeals just makes things so easy. When we go to the grocery store, we have a plan. We know exactly what to get and exactly what to cook. AND it’s all DELICIOUS. We’re both consistently wowed by what we end up cooking. If you’re looking for a way to make meal planning easy, I highly recommend eMeals.